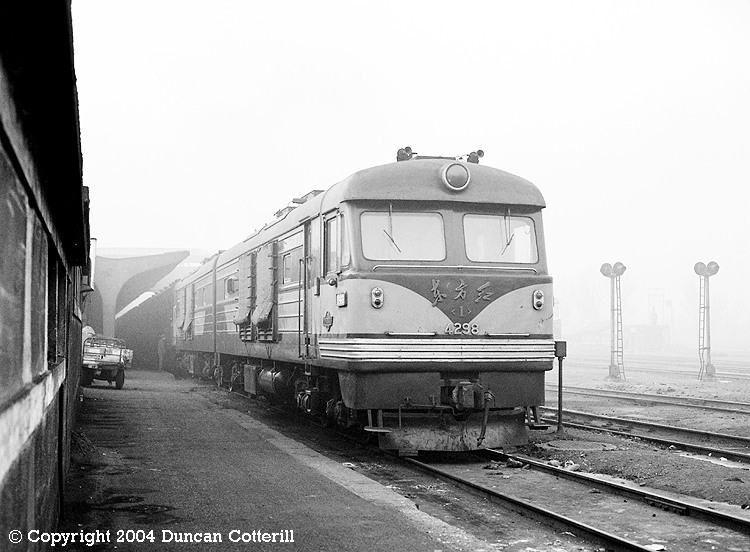 The DFH1 was China's first production main-line diesel-hydraulic design, introduced in the late 1960s. In the mid 1980s they could be found in pairs working expresses between Beijing and Shenyang. DFH1 4298 and DFH1 4263 were waiting to leave Shenyang with train 12, the 08:00 day train to Beijing, on a foggy 3 January 1985.